Flatcat are a punk pop band from Bruges, Belgium (yes they sing in English) consisting of Dieter Meyns (vocals/guitar), Alexander Jonckheere (Bass / Backing Vocals), Wim Luyckx (Drums) and Dirk Luyckx (Guitar). Heartless Machine (7.5/10) kicks off with high octane but politically incorrect "Butterface" a song which sounds like it was penned by Fat Mike from NOFX. The song features a punk attitude and a stuttering chorus. When "Loose Tongue" starts the familiarity is comforting, three chord-ed punk pop with epically catchy chorus. The title track has a more grungy sound like Sugarcult, with more down-tuned chugging guitars than the rest of the album. The quality of the album is consistent whether it be the old school punk stomp of "What To Say"; the heavier coming of age song "The Maladjusted" or the Taking Back Sunday-esque catchy "Take Shelter". The album slows down for the semi-acoustic, "The Great Escape" which sounds like The Get up Kids and features a more atmospheric soundscape. Ending on the contemplative "All Anchors" a song about despair and accepting your own fate the album never fails to maintain the listeners interest. The album is chocked full of shiny guitars, chugging riffs, solid drums, dark lyrics and a sense of fun which permeates the whole record. 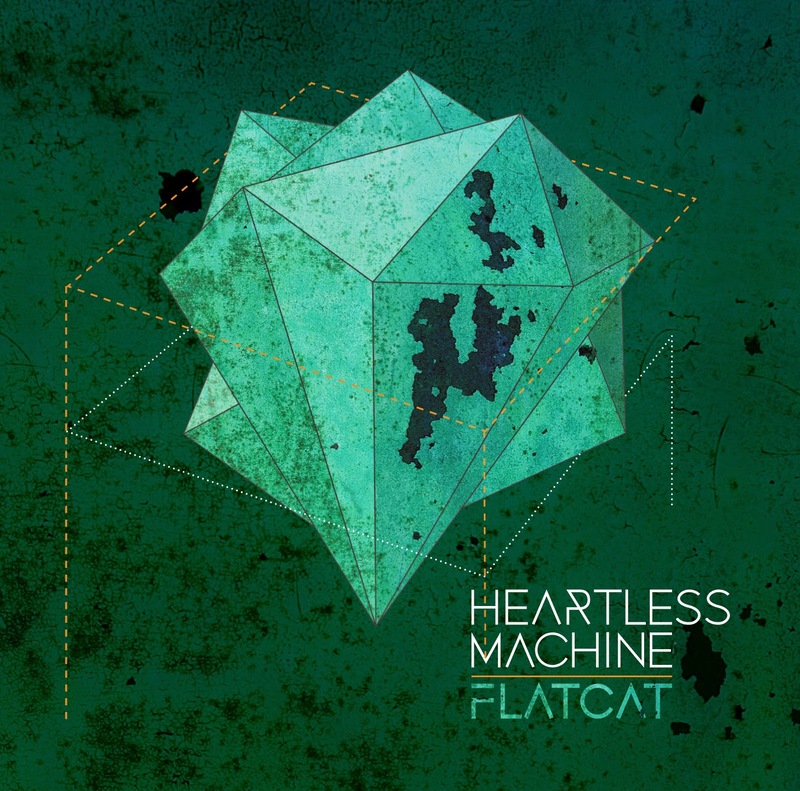 Flatcat are treading a well-worn path with "Heartless Machine", but their meticulously crafted take on American punk rock is enjoyable, entertaining and memorable. Fans of bands such as Blink 182, The Get Kids, Green Day and Bad Religion will enjoy this album lots..